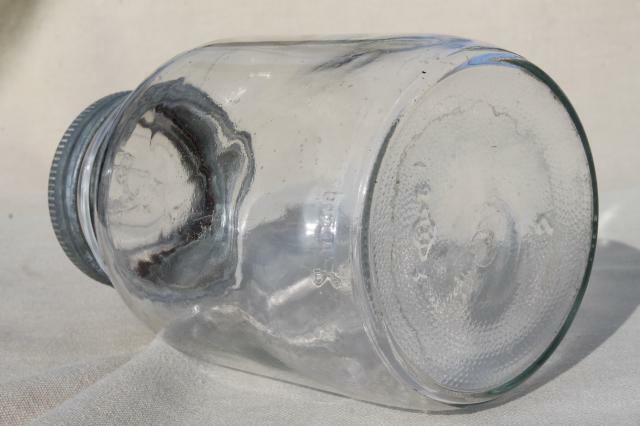 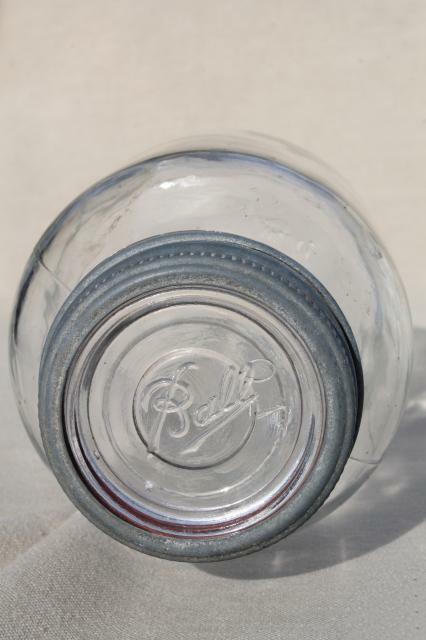 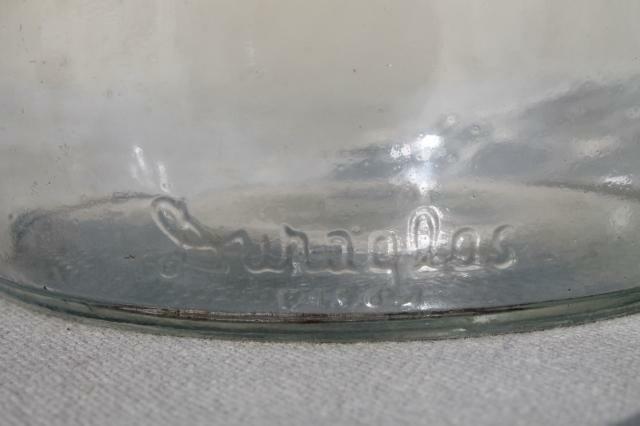 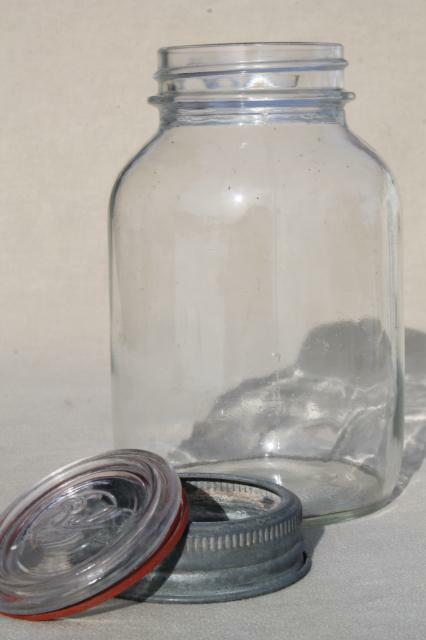 Plain old glass canning jar (no embossing) with a nice old zinc and glass Ball lid. 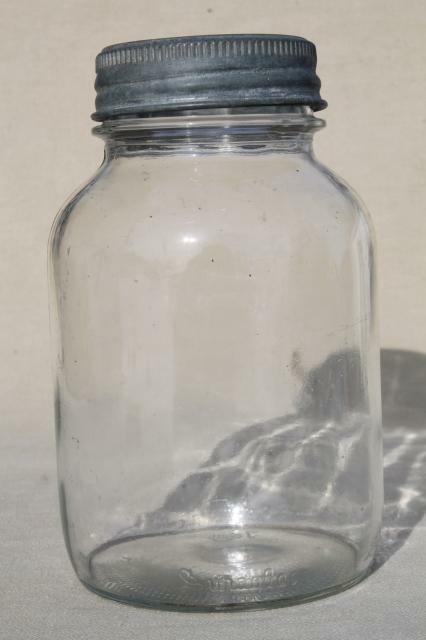 This is a one quart size, the jar is about 7 1/2" tall. 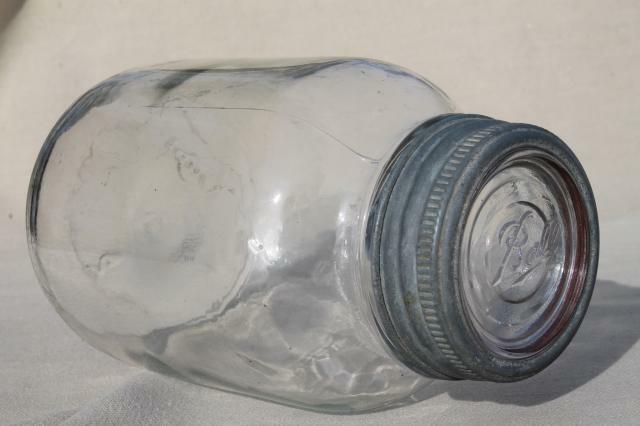 It's a standard neck size, not a wide-mouth. 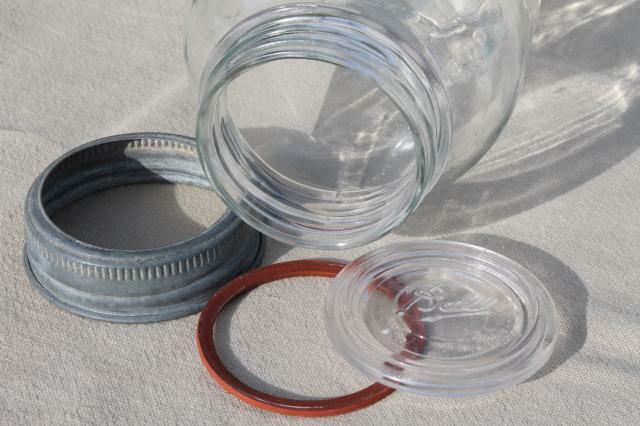 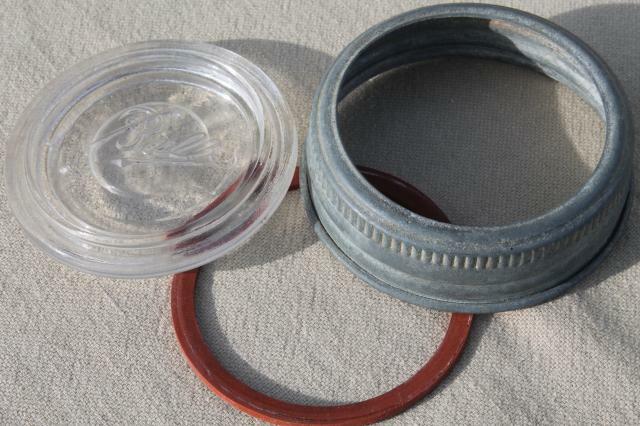 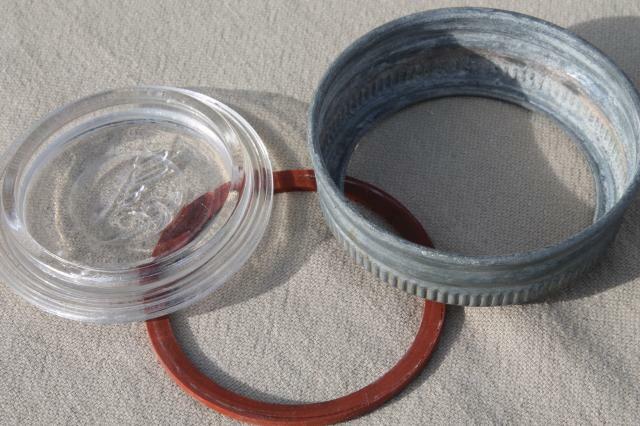 Both the lid and the jar are in very good clean condition without damage.